In 1975, Canadian art student John Hardy traveled to Indonesia to learn jewelry-making with a master Balinese artisan. Embodying that modern spin on the traditional, this bracelet boasts iconic texture in reversible sterling silver and yellow gold. 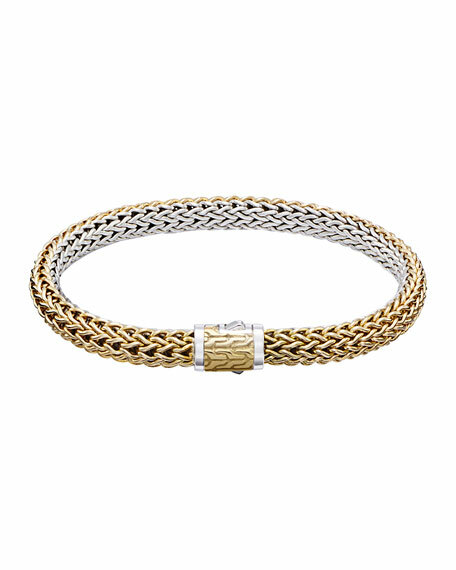 Reversible 18-karat yellow gold and signature sterling silver signature John Hardy woven chain.